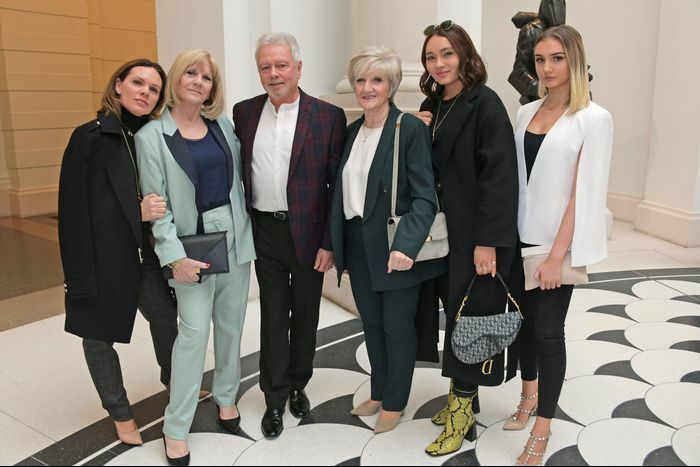 The Victoria Beckham show is always a family affair, with both the Adams and the Beckhams sitting en masse on the front row to support VB. We’ve all seen Harper with her Anna Wintour bob and the boys in their Peaky Blinders caps—but there’s another family member who caught our attention in her head-to-toe high street look. Victoria’s niece, Libby Adams, wore a black oversized belted coat by Zara with a pair of yellow snakeskin £89 ankle boots by Topshop which have an exaggerated toe and wooden heel. She looked like a mini VB, as tailoring and statement boots has long been part of the Beckham workwear uniform. If yellow snakeskin is a little much for you - these boots also come in brown and red versions. She stuck to the high street for VB’s London Fashion Week after party, wearing a leopard print wrap skirt by Never Fully Dressed. Something tells us this won’t be the only story we’ll write about Libby’s outfits.